Ho, ho, ho! Christmas is fast approaching… Spread some holiday cheer with gifts as beautiful as they are. 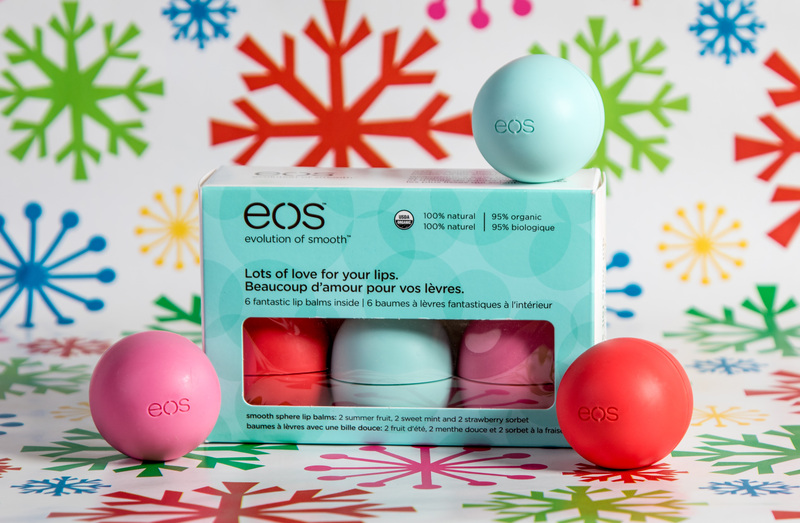 Give happy – One of the hottest products on the market right now is eos Lip Balm. Available as a single, trio or 5-pack and with lots of delicious scents, it’s a sure thing for girls young or young at heart. And, what a fun stocking stuffer it would make. This lip-smacking, luscious lip balm is all natural and will definitely put a smile on their face. Give youth – Dead Sea minerals and age-defying ingredients make the Jericho Premium Beauty Pack a beautiful gift for every skin type. It includes skin toner, active serum, restoring day cream and eye & neck gel. She’ll love adding this luxurious set into her daily regimen and everyone will notice the youthful results! Give cutting-edge – Heat things up with Croc! Awesome blow dryers with ionic technology (think amazing shine) turn dull hair into healthy hair. 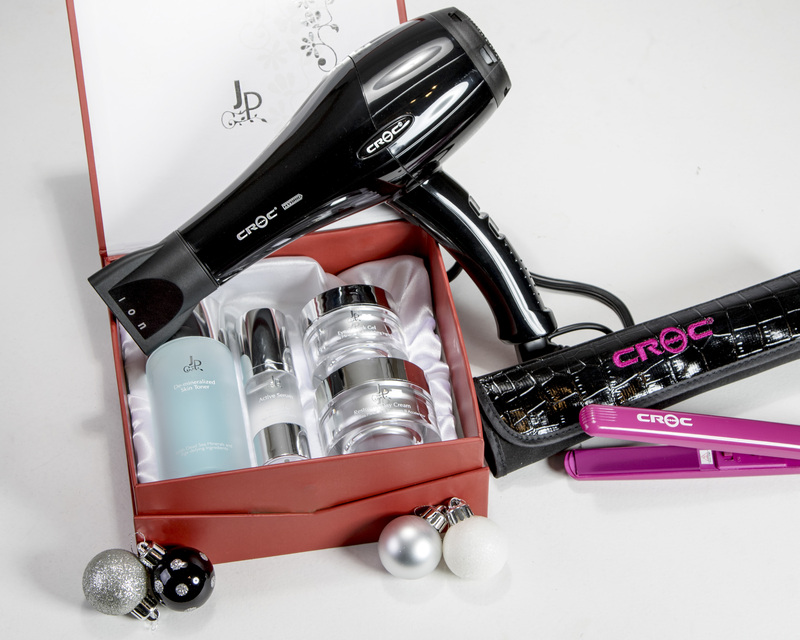 And fab flat irons – well, everyone needs one! Lovely locks? Now, that’s a gift. Give relaxation – Tired of getting them a bottle of vino? 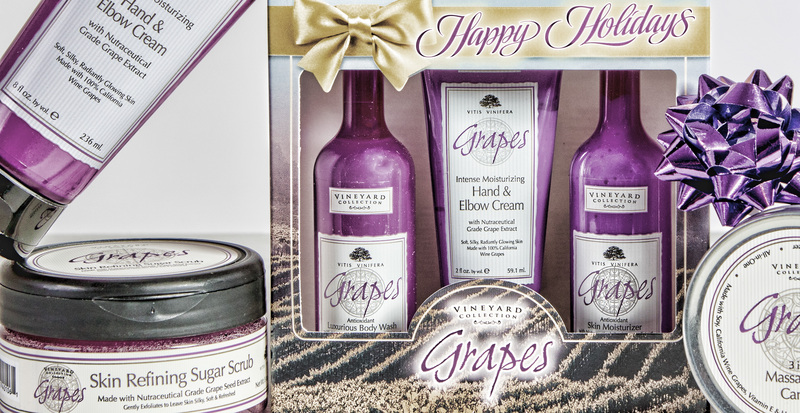 Omg, the Vineyard Collection is made with 100% California wine grapes. Moisturizer, cream, body wash, etc. with a perfectly balanced grape scent. They can relax without the worry of a hangover! Give joy, err beauty, to the world! And, enjoy FREE gift wrapping with every purchase ‘til Christmas. Oh, what fun it is!